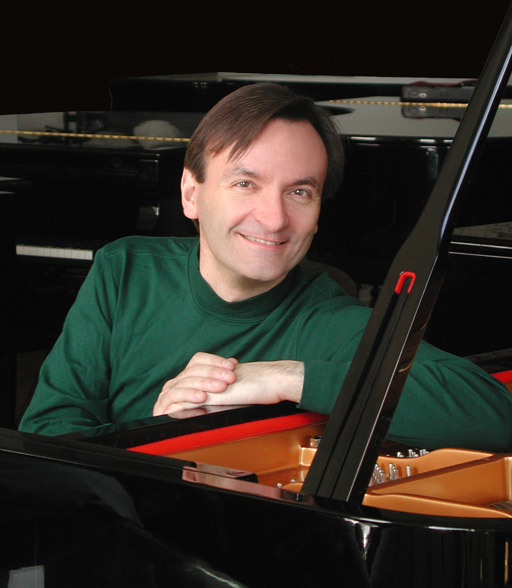 Stephen Hough Interview with Bruce Duffie . . . . . . 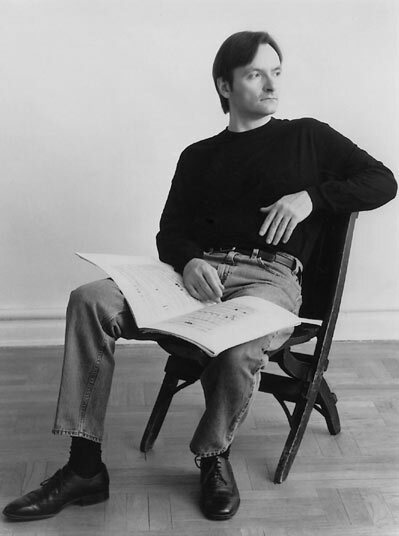 In July of 1989, Stephen Hough (pronounced Steven Huff) was a young, British pianist still early in his career. He spent two weeks in the Institute connected with the Ravinia Festival in Highland Park, Illinois, which is the summer home of the Chicago Symphony Orchestra. It is wonderful to note that now, more than twenty years later, he continues to do what he started, and the efforts have grown in every way — more concerts, more recordings, more acclaim. Always bigger and better things, including an ever-expanding repertoire. A biography from his agency appears at the bottom of this page. Here is that conversation with the pianist . . . . .
Bruce Duffie: The set-up seems to be doing very well. May I also use this studio for Heinrich Schiff a little later? SH: No. Don’t worry about that. What I might do, though, is to lock it from the outside before I go, so that when you leave it will just automatically lock. I’ve got some scores in here that are a little bit precious. BD: What makes one score more precious than another? SH: Availability! I have some rare photocopies of things that would be difficult to get hold of again. I am very interested in repertoire of certain things that are sort of off the beaten track — of the Romantic period, particularly. BD: What interests you about music that doesn’t come in concerts every week and every year? SH: I don’t like going to recitals where I know intimately every piece on the program. I like a surprise. If I go to a dinner party, I like to have a dish that I’ve not had before or that surprises me, or a flavor of sorbet that has a special tingle or whatever it might be. So, I feel very much the same about repertoire. It’s nice to have things that are trusted favorites and things that you can enjoy with that kind of familiarity, but also to be slightly challenged or teased by whatever the repertoire might be. BD: Is this all Romantic and Classical music, or is it also new music? SH: I’m interested in new music, though I don’t play very much of it. It’s just a matter of what you have time to learn. Also, with pieces that are unusual and are unknown, it’s important that they shouldn’t be too long, or you shouldn’t overwhelm your listener with them. A lot of the pieces that I like doing are encores anyway. Some of the calling cards of the great pianists of the past, pieces by Levitzki and Rosenthal and Godowsky and Moszkowsky and all those wonderful people that I find such an extraordinary influence. BD: Are these parlor pieces? SH: I suppose so in a sense. A lot of them were written with the seventy-eight record in mind, which lasted three and a half minutes. That’s about what they last and they showed off what the pianist could do. In Godowsky you have those wonderful textures where he could weave all kinds of contrapuntal ideas at the same time. Or if you have Paderewski, who had such a beautiful, singing sound, he wanted to show everyone how beautiful it was. Another composer who had glistening, even scales wrote pieces with lots of glistening, even scales. There are so many of these pieces that were demanded of artists, that they should be known for them. There are many to be sorted out and played. BD: A lot of these pieces, of course, the pianists wrote for themselves for their own performance. SH: Most of them they did, yes, and then eventually under pressure, they would publish them. BD: Have you done a little writing of encore pieces yourself? SH: I’ve done some transcriptions, yes. In fact, I have a record of encore pieces that I think is just due to be released in the States; it’s been out in Europe for a little bit about a few months. There are twenty different encores; some English composers, Quilter songs, and four of them are my own transcriptions, including one of “My Favorite Things” from The Sound of Music, which is really going over that border line. BD: Is that border line being smeared these days? SH: I hope not in a way, because I’m sort of conservative about certain things. I’m very anxious to continue wearing tails. If I had the right cleaners, I would like to wear a detachable collar. There are certain aspects about the ceremony of concert-giving which I think are important, and are part of its success in a way. Coming out in everyday clothes or jeans may amuse people for a while, but I think it destroys a certain... I suppose ‘ceremony’ is the word, a certain sense of occasion. I think people like to dress up to go to concerts, and they like it to be a certain kind of treat. If you’re going to have a wonderful meal, you want to choose a nice wine; you want to go to a restaurant where the lighting is nice and ambient. No matter how good the food is, if there’s glaring, fluorescent lights and the waiter comes over with a pair of shorts, I don’t think it quite has the same sense of celebration, and in a sense, a concert is a celebration. It’s a treat, I hope, for the people who go, although maybe for people who go all the time, it becomes almost a duty. But it should be a treat. It should be exciting. BD: You don’t feel, though, that concert dress would be a little off-putting to the next generation or the current generation that goes to rock concerts — people that we’re trying to entice into the concert hall? SH: I don’t know, actually. I don’t think it would be if we weren’t so apologetic about it. If you make something exclusive and elitist, then everyone wants to join, but if you try and make everything too easy and too informal, then people don’t think it’s worth going. If you’re not allowed to drink until you’re eighteen, then when you actually get the chance to, it seems such a great thing to do. Whereas if it’s always been there, then you’re more easy-going about it. BD: What should be the special-ness of any particular concert, or does it change from concert to concert? SH: It obviously should be the music-making. For all these external things, the important thing is the music. It’s purely a personal thing, and someone could very validly argue the opposite point, but I like the sense of occasion about the concert that’s all part of the uniform, that’s part of the slight detachment between the artist on the stage and the audience — not in an unpleasant way, but in a way which is rather like a priest, if you like. It’s someone who is very much part of the audience, but is acting a role on behalf of the audience. BD: Do you view yourself as teacher? SH: That sounds a bit mundane, actually, doesn’t it? I don’t view myself as anything because unless there’s an element of humility in the whole business of playing music, then you can fall very flat on your face; the humility, certainly, of the composer being considerably greater than you. So I don’t view myself in that sense, but I think maybe it is a kind of missionary thing. Certain teachers have a way of infusing you with their own feelings about something, of really inspiring you, and I suppose that’s what a performer is. They’re conveying that important message in the most vivid way possible. BD: Let me ask a balance question about all of this. When you go out on stage and you’re playing a concert, where is the balance between this high artistic achievement and any entertainment value? SH: I think they can be both. We used the simile of a meal before, but there should be so much variety. There should be the soufflé as well as the heavy course, as well as the appetizer. I don’t think there’s anything wrong in something being light-hearted. Someone who has a sense of humor, who can tell a joke, is every bit as rare as someone who can tell a tragic story or someone who can tell a long, drawn out story. There’s been a terrible emphasis in the last thirty or forty years on a fear of something which is frivolous. There’s nothing wrong with something that is frivolous, as long as it’s balanced. It’s the balance that’s important. If a program is all sweet nothings, then of course it’s unsatisfying. It will give you a musical stomach ache. BD: Is that why you leave the confections to the end of the program? SH: [Laughs] Generally, yes, although I have opened with a few little sweetmeats on occasion. I opened a program once with a couple of Paderewski pieces. Surprise and variety are key words in planning a concert program. BD: Do you look for that surprise and variety within each piece, especially if it’s a more lengthy piece? SH: In one’s performance of a piece, music is all about this sort of contrast. Just on a very mundane level, if you play at one dynamic level for more than thirty seconds, the ear starts to tune out; it becomes bored. It’s all about singing; it’s all about the variety of color within a phrase that’s so vital. You need to be enticing your audience. Sometimes you need to be prodding them to listen, sometimes gently persuading them to listen, but it’s all part of that constant variety which is so essential in keeping an audience’s attention. Actually, a recital is the true test of that. If someone can actually keep an audience riveted for two hours, then that someone is quite special in the way they’re dealing with their art. BD: Is the art of playing a recital different today than it was before people were watching television all the time? SH: It could be. We all are used to louder sounds around us. BD: Our attention span is different now, but the pitch and duration that you’re playing is going to be the same as it was fifty, a hundred, a hundred-fifty, two hundred years ago. SH: Yeah. It is a problem. Certainly the attention is something. People don’t actually to just sit there and do nothing. One thing is that at least they’re watching something. The problem, I’m told, is that attention spans of people just to listen to something — like sitting down and listening to a record for an hour — is less good than it was because people want to have their eyes stimulated as well as their ears. BD: Are audio records doomed? SH: It depends on how you listen to records. [Both laugh] I think records and CDs are always going to be with us, but apart from the time, I find it very difficult just to sit down and listen to a record. Everything conspires against that. BD: I would think in your case, the fact that you do it all the time every day and that’s your profession, sitting down to do more of that would not be relaxation. SH: It depends. Orchestral music can be very different from one’s piano music. It’s important to learn about the great repertoire, and records are a great aid for that in one sense, but certain pieces have to be experienced in a concert. I love the story, which is true, of Benjamin Britten, who was asked whether he would record his War Requiem for Decca Records. His initial reaction was no, because he didn’t want the piece on record. He felt that the piece was so much an occasion that he really wanted to come to it and be moved once every ten years. Whereas if they could just sit in their car with it on a tape, or just put it on while they were washing dishes or making a cup of coffee, then it would not have the devastating, highly emotional effect that he was looking for. I don’t think you can quite have the same emotional effect with a recording. I was at a concert here the other evening at Ravinia of the Mahler Third Symphony. Now there’s a piece that I think needs to be experienced live. To sit down in a chair and get up and leave the room and come back again seems to totally be against all that the piece is about. BD: Should we put warning labels on records like they have on cigarettes, that listening to it in bits and pieces or inattentively would be hazardous to your musical health? SH: [Laughs] It might not be a bad idea, but I don’t think it will happen. Records are here to stay, and I think that the people just have to use their own judgment about it. BD: Beyond what we’ve just been talking about, what other suggestions do you have for the public who wants to listen to a record and get the most out of it? SH: Depending on the piece, one should try and listen to the piece beginning to end, all the way through, with as much attention as possible, really. I think that one should try to avoid, if possible, putting on background music. I know some people love it, but really it tends to dull our senses of the surprise of music, to the extraordinary qualities. It’s almost impossible to regain this now because we’re surrounded in elevators and hotel lobbies and all the rest of it. I would rather hear jazz music or pop music there than I would classical music since we’re just on for the ride, as it were. I find it very distressing to hear a Mozart symphony tinkling away in the background at dinner because it’s totally irrelevant to what the piece is about. Who can ever now really listen to the beginning of Beethoven’s Fifth Symphony as it should have been heard? It’s impossible for the western man to do that, because the piece has taken on so many ridiculous embellishments from other sources. BD: Should we try to get concert managers and program planners to get away from always playing just the war horses? SH: I think they do on their subscriptions. One notices that in particular at Ravinia, which is a very refined summer festival. There’s many, many different pieces played all the time, and many adventurous programs. So maybe we should be learning from Chicago’s program planning, which seems to me to be so ideal. BD: We’ve been talking around the subject, so let me ask the question straight out — what is the purpose of music in society? BD: Well, how do you feel exactly today, this moment? SH: I suppose whatever I feel that it’s going to be, it’s going to have a different purpose for every person who listens, really. It will depend on their background, their education in music, their general musicality, how much they like it or not, how much they’ve been involved with it, just as a film is going to be very different for everyone who sees it or a painting for everyone who sees it. One could talk in very exalted terms about uplifting the human spirit and so on, and it sounds rather corny, but I suppose that’s all part of it. Entertainment is certainly part of it, with certain pieces, maybe a lesser part. It largely depends on what the composer was aiming at. Obviously, the great composers were aiming at something, which they almost couldn’t help themselves. One gets a sense with someone like Schubert, who comes to mind very immediately, that he just could not help writing music. He just wrote so much; he spent himself writing music. So with someone like that, one just has to see, to imagine, to read through his life to find what he really was striving after. But these are huge philosophical questions, and it’s very difficult to come to any concrete solution about them. BD: And so here is another! In your opinion, what is it that makes one composer great or another composer, perhaps, not as great? SH: I think that depends on the composer. For instance, Rachmaninoff I think is a great composer, but it could be argued that he’s not as great a composer as Beethoven. In reality, I think it’s very difficult to argue that point in a way. It’s very difficult to really know what one’s talking about. I can certainly say that Beethoven’s whole sense of structure and his use of motific ideas is just so much more than superior. In a sense, I think what Beethoven was striving for — one thinks particularly of the late works — goes beyond what Rachmaninoff was striving for. They were very different human beings. There’s a certain spiritual quality, maybe, that one could bring into play here. One might say that composers with a greater spiritual awareness, or whatever spiritual awareness that might be, are striving for something more. I think it’s the architectural sense as well. We find that in someone who, in a large form, is somehow able to contain many disparate elements and unite them in an inexorable way that one gets with Brahms and with Beethoven and even with Schubert in his more crazy kind of way. In a sense, Schubert is certainly not the architect that Beethoven is, but through all the sensual beauty he somehow seduces us, or takes us over through that, even in the longest movements. BD: Do you find this also in the miniatures? SH: Yes. I think there’s something very extraordinary in the small forms. A lot of people would argue not, but I do because I think it is very unfair to some of the lesser composers, in a sense, to disregard what I think are extraordinary special things — in a Debussy prelude, for instance. In that tiny prelude, Debussy can capture every bit as much of a vivid spiritual picture as say, Bruckner can or Mahler in a huge symphony. So, I don’t think the fact that they’re small makes them any less valid. BD: I just wondered if you could find the same kind of structure compressed or if it’s a different structure completely? SH: You can find it in composers like Webern and so on. They made a point of condensing everything so much that you have the structure of the whole movement within sort of a few seconds, but that’s a totally different question. Structure obviously changes. There is a limit to how much you can do, but just as in those wonderful Flemish miniature paintings where the details are so extraordinary, the same applies to miniature pieces. Some of Chopin’s pieces fit that category. The Chopin Preludes seems to me one of the great masterpieces, certainly for the piano, in western music. BD: We’ve been talking about a wide range of styles and a wide range of composers. Have you explored all of these, or are you going to explore all of these in your career, for both concert and recording? SH: I’ve not explored very much before Mozart in my performance. I feel slightly uneasy playing Bach, not just because of the instrument that one’s playing it on — because I think Bach can be wonderful on the piano — it’s just an area that I’m a little bit afraid to tread, in a way. I suppose it boils down to being sufficiently confident of the style to go out there, and I don’t feel that I have enough to say about it to warrant me bringing it before an audience. BD: [With a gentle nudge] You mean everything’s been said by either Glenn Gould or Wanda Landowska??? SH: Oh, I’m sure everything’s not been said, but I just don’t feel that I have the particular plug to put in the hole to get hold of that music. BD: What do you feel are the plugs that you have? SH: Sometimes they don’t work very well, but they vary between Mozart and some of the contemporary composers. Personally, I think the piano really did reach its peak as an instrument in the Romantic era. The actual instrument was fully developed around the turn of the century, and into the early decades of this century. So often, tonal music sounds better on the piano than atonal music. I don’t think that’s true for every form, but I think with a string quartet, for instance, I would prefer to hear music of an atonal nature on a string quartet than I would on the piano. I think it’s to do with harmonics; with the pedal, you activate many harmonics on the instrument. BD: Does this have anything to do at all with the adjustment of pitch that you cannot do on a piano? SH: It might have something to do with it; I hadn’t thought of that. But I do think there’s a certain clarity you can get with four-string instruments playing individual lines that you can’t get on the piano. It was designed as an instrument to produce rich chords, in the sense of what rich chords were when it was designed. I just feel that it works better with more conventional, clear, defined harmonies. There are exceptions. For instance, I think Schoenberg’s piano music I find unpleasantly dense in sound. I don’t enjoy listening to it, whereas I enjoy listening to Schoenberg’s string quartets, especially the Third and Fourth. BD: Have you ever tried playing some of these dense pieces on an old instrument — such as a clavichord or even a virginal — where there’s much more openness and not the extra ringing inside the box? SH: I suppose one could. BD: It might make more clarity. SH: Yeah, but if they were written for the piano, it would be difficult, even with the span of the keyboard, to fully incorporate those. There are composers — one thinks of Messiaen — who’ve used the piano wonderfully and imaginatively. To talk about someone like Bach or Prokofiev, one’s talking about already old music. [Both laugh] I have played some pieces by a young American composer Lowell Liebermann, whom I think has a very fine, unique understanding of the keyboard. [See my Interview with Lowell Liebermann.] He’s a pianist himself, and I enjoy very much his music. I hear every now and then some piece that I think, “Gosh, that’s nice.” It’s a matter of priorities, though, really. BD: Have you taken his music up and become his champion a little bit? SH: Not intentionally. I played the first performance of his Piano Concerto this last season in Lake Forest. I’m going to be playing some solo pieces, but anything that I like the sound of I would be prepared to learn them and to record. BD: You don’t find yourself being spread too thin, though, with so much repertoire? SH: Well, that’s the danger, and I don’t want to do that. I’m trying to keep as balanced a diet as possible, to play pieces which are familiar. It’s very difficult at the beginning of a career, when you don’t have always complete choice as to repertoire. Often a date will come along, and it’s a date for Beethoven’s Third Piano Concerto. It’s not a date that they say, “Would you like to play the Medtner Second this week?” You just don’t have those options. [Both laugh] So you need the repertoire. Many important things come from filling in for someone at the last minute, and you need that basic structure of the familiar works. BD: You play solo recitals and chamber music, as well as orchestral concerts. Do you change your technique at all when you’re sitting in front of a hundred men and women in the orchestra, as opposed to being alone on stage? SH: Yes. Playing concertos is a very different technique. In the soft ranges, generally, you don’t have the freedom to be extremely soft. You just can’t physically play softer when you’re playing with another instrument because it’s often not audible. It also depends on the size of the hall. Generally when you’re playing with symphony orchestras you’re playing in a large hall, so you have to declaim things in a way that would be inappropriate in a small hall if you were playing a recital. So yeah, there is a different technique. Chamber music just depends on the instrument or instruments. If you’re playing a piano quintet, you have quite a free range to play very full, but if you’re playing with a cellist or violist, then everything has to come down. So it’s a constant adjustment. BD: Do you prefer one to the other or do you try to divide your career almost equally? SH: I like doing both, but if I had a choice, I’d probably prefer recitals because I think they’re more challenging. There’s more freedom. BD: Are you more in control? SH: Yes, often. If the conductor is difficult to work with, you certainly are! [Both laugh] There are many times playing with awkward conductors when I wished I was playing a recital! I just like the sense of walking out at a recital and really having a completely clean canvas in front of you to do absolutely anything with — to take risks, to change things, to allow the mood that you’re feeling in that particular time to take over or not. It’s a huge challenge and wonderful, but it’s a lot harder work. It’s relatively easy, say, to take a Liszt concerto on tour, but the energy level one needs for that is very different from taking a recital on tour. BD: Do you play differently for a live audience than you do in the recording studio? SH: I think you really do, though I hope not too much. There are people who don’t record very well; they sound great in concert halls but are inhibited by microphones. Then there are people who sound great on records but don’t sound as good when you hear them live. I think a record should be you, however you get to that — whether you do it live, whether you do it many takes, whether you do it in one take. I think what comes out of a record session should be you at your best, or as close to your best as you can be at that time and in that repertoire. BD: Are there ever times when you are better on stage than you have been in the record? SH: I hope so. I hope that always there is that extra excitement in a concert. It would be impossible not to because you’ve got all those people there. The whole way records work, you record often during the day. You arrive there in the morning and you play until they get the microphones well set up. Finally they say, “Are you ready to play?” and you say, “Well, I suppose so.” They put the red light on and you start playing. It’s very different from getting dressed in the tails and walking out and having to play right there. I find you cannot predict how a recording session is going to go. You just have to hope that somehow you’ll have some fire within you. It’s often very difficult. There are technical problems with the microphones, or with a passage you somehow can’t quite get right, and the producer’s insisting on having every single note in place so you do it time and time again. Then you start getting neurotic about it, which is a very common thing. I think neurosis really starts to rise in recording studios. You start also to look in on yourself in an unhealthy way, especially with modern digital recordings where the sound is so clear — I mean, really inhumanly clear. You can’t hear those details in a concert hall. BD: You’re really putting the audience’s head in the guts of the piano? SH: They are even closer than you as a performer are to the sound. So you go back and listen to this thing, and it’s often different from what you want. Then that, maybe, puts you in a less good mood and you go out and try and do it again. So it’s a lot of mind games go on, and you’ve really got to be able to keep stepping over the obstacles and asserting how you feel about the piece, and forgetting all that other stuff — the fact that this particular reviewer didn’t like the way you played Liszt because you did too much of this or that last time. You’ve got to brush them all out of the way and just think of the music. BD: Wiping all of this aside, are you basically pleased with the records that have been issued so far? SH: There are always things that one isn’t pleased with, but I feel slightly lucky, really, to be honest with you. The first release that came out was the Hummel Concertos, which was a lot smoother as a session than it should have been in the sense that neither the orchestra nor myself had played the pieces before. We had to rehearse and record sessions on two consecutive days, and the conductor didn’t even have a full score for the B Minor Concerto; he was just reading off a piano score. And they’re particularly difficult pieces to play for the instrument. The technical demands are more than is usual in most piano repertoire, and it’s technique that is not generally learned anymore — double-note figures that just don’t get taught because Liszt did away with all that kind of technical brilliance and invented a much more brilliant way. But I am pleased with the Hummel record. BD: Was it instant exploration on everybody’s part? SH: Yeah. We all really enjoyed the sessions. They started well, and I think that made everyone feel good. Really we did very few takes. They’re pretty much complete movements with a few inserts here and there for whatever reasons. And the piano, for once, really was great and everything was working. The tuner had done everything, so it was fun! It was a beautiful day outside and I enjoyed those sessions. Hummel is reasonably straightforward. It was also repertoire that was not really recorded very much. BD: Should these pieces really should be penetrated and penetrated and penetrated, or should they just be played as it is and enjoyed? SH: I think very much the second. It’s not very profound music but it’s none the worse for that. It’s fun. It’s very colorful. BD: Might you begin losing something if you start to really look in every nook and cranny? SH: You see very quickly that the nooks and crannies don’t contain very much to discover, and that’s fine. They’re exuberant; they’re lots of fun. One needs every ounce of pianistic refinement in them, and that’s every bit as searching in nooks and crannies as the musical ones. Believe me, I spent hours working on those pieces in extraordinary detail, and I certainly did as much work on tonal and technical things with them as I would have done on other issues if I had been recording the last three sonatas of Beethoven. The Liszt record, which was the next release, there you’re really dealing with music that’s written for audience consumption, particularly with the virtuoso pieces. The record was constructed with three virtuoso pieces and three religious pieces, and it was deliberately meant to be a journey from the Mephisto Waltz, which is the most diabolic Liszt and amongst the most virtuosic. I wanted the beginning of the record to just overwhelm one with its virtuosity, with one piece after another after another, and then suddenly to cut off and to have the Pensées des Morts, the ‘thoughts of death’ where Liszt began to be disillusioned with his life as a virtuoso and started thinking of the priesthood and the eternal and deeper matters. In fact it improved his writing and he became an extraordinary influence just as a composer as well as a pianist. BD: Were you trying to show Liszt-the-man, as much as Liszt-the-music? SH: Yeah. That the record was meant to show that. Progressing from Thoughts of Death, which is a very despairing piece, through St. Francis Preaching to the Birds, which is the lighter side of the Catholic spiritual tradition, the whole nature is seen as a reflection of God. Finally in the last piece we have the summit of contemplative adoration, the Benediction of God in the Solitude, so the recital ends with that piece, which is as high as Liszt ever got in his spiritual journey. It is a very deliberate journey and it’s the sort of music that you can only ever get a version when you do it for the record; you can never get a definitive statement. 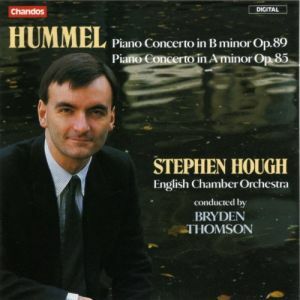 I think that the Hummel record, in a sense, is what I feel about the Hummel concertos, period. It’s the sort of music where you really can get... I don’t want to say the definitive, but for me, for my particular performance of them, I think that’s what I can do with them. However, with the Liszt, already I feel differently about certain of the pieces than I do on the record. BD: Better or worse, or just different? SH: It’s not really for me to judge whether they’re better, but there are certain things in both the religious and the virtuoso pieces that I would do differently if I were to make the record now. For the Hummel I wouldn’t do anything differently if I were to make it again now. The Encore record was interesting to make because they’re the sort of things that work relatively effortlessly after a full recital, when you’re completely warmed up. You only give them if the audience seem to be enthusiastic, so you’ve already won the battle and you’re just amusing and entertaining people who are already your friends. But to go to a recording studio cold and start to create that feeling of relaxation which is so essential for encores — and in fact muscularly so essential with something like the de Schlözer Etude or the Gabrilowitsch Caprice Burlesque — you need to be physically and mentally and musically relaxed so that the rubatos can flow. So that was a difficult record to do, and I did the pieces many times. I was trying to sort of create the feeling in a recording studio that I would have in the concert hall, so that was an interesting challenge to do. BD: Did you purposely do them after playing a huge sonata just to be into it? SH: Not quite, but I played the pieces themselves many times and switched one to the other almost without telling the poor producer who had to say, “Oh, gosh, we’re on The Crimson Petal now.” [Both laugh] I would switch around like that to try and create that mood. In fact, with the Liszt record, another thing I had to do to relax was to exaggerate things very much, to make it really larger than life, really over bloated, so that I could come down from that. One of the great dangers in the recording studio is one’s rather dry and a little bit calculating about things. You’re not quite free enough. I found sometimes it’s helpful to be over free, to be exaggerated in that, so that you start to get into the right mood. BD: You’ve also made a record of Violin Sonatas of Beethoven? SH: Yeah. That was done a few years ago, though they’ve only just been released. They were done live in New York and then touched up a few weeks later. So that was a different sort of a music experience, recording live. BD: Did that give you any kind of schizophrenia, to know that you’re playing for an audience, and yet the microphone is listening in? SH: A little bit, but it wasn’t too bad because so often concerts are recorded anyway these days. Almost every concert one does seems to be taped for the radio station — particularly in the states — so I got used to the fact that things are being recorded and forget about it. BD: But when you’re playing, you don’t forget about the audience, do you? SH: No. You don’t forget about them, but one isn’t aware. One’s aware of the audience as one thing, rather than many different people. It can be rather distracting if you’re thinking about who’s there; you must keep your eyes fixed on what you’re doing, but obviously one’s aware that people are listening. BD: You mentioned that everyone in the audience comes with their own particular experiences and expectations. How can you, as a single player, play for this mass of differences? SH: Well, I suppose you can’t. You have to play for yourself and hope that wherever they’re coming from, they will join where you are. You can’t please everyone, that’s for sure. Everyone has a different sense about what they like and what they don’t like; that’s what music’s about, and that’s wonderful. So you just have to do your best and then hope that as many people as possible like what you’re doing and are enjoying it and finding it meaningful. BD: When a young student comes in, either for a master class or in the private studio, what do you look for in his or her playing? SH: Actually, some of the students are older than I am, which makes it a little bit of a... [Laughs] I feel very edgy — not in an unpleasant way, but I’m very aware of the limits of... not authority, but limits in many different ways. First of all, limits of time. I’m only here at the Ravinia Festival for two weeks, and it’s very difficult working with many different students to do very much in that two weeks. You can do certain pointers, but they’re not my students; they’ve not come to study with me. They’ve come to the institute to get everyone’s feelings. BD: But you can certainly give quite a bit of input to each one! SH: I hope so. I was very fortunate when I was young — between the ages of about ten and eighteen — to have a teacher whose main concern was to develop my feelings about the music, and not to tell me what to do. I don’t quite work out exactly how he did it, but it was a mixture of extreme modesty and good sense, and a good sense also of timing. When I started with him at those early ages, particularly around eleven, twelve, thirteen, he could have showed me ways to do things that would have sounded better. But his feeling was that he didn’t want to say, “Do that rubato there; take time here,” because he wanted me to discover those things for myself so that I would develop and become mature. I suppose it’s rather like a parent who, instead of just saying to the child, “You’re not allowed to do that,” they somehow want to show the child that it’s in their best interests not to do that. BD: Do you reflect this now in your own teaching? SH: In a much lesser way. He was a brilliant teacher, and I don’t teach very much. I haven’t taught since being here last summer, so I’m a little rusty with it. But I do think it’s important. I feel a great responsibility being here, and when someone comes in and plays for me and then I’ve got to say something about it, I’m very conscious of where that person is coming, for the fact that they may not be warmed up, the fact that they may have different feelings about the music from me. Really, I’m genuinely scared to say things that will harm them musically and personally as well. Teachers can do terrible things to people’s confidence and to all sorts of other things. BD: You don’t believe in being brutally honest? SH: No. I suppose that’s part of being English, trying to hedge ‘round things and say them in ways, which, when thinking about it afterwards, maybe you understand. Richter never teaches, and when he was asked why he said, “What if I were wrong?” The fact that someone like Richter can feel like that, certainly I should feel like that, and I think one should always keep that in mind — that one might be wrong. One should never make such dogmatic statements about things that someone is not able to challenge them. BD: Do you learn from your students? SH: Yes, indeed! You learn in all sorts of ways, often from revelations that they themselves have found with the music. You also learn when you discuss or argue about any point. You either confirm the feeling you have about it, or you change the feeling you have about it. This can also happen when just sitting back and listening, and hearing something that you don’t like and thinking, “Now, why don’t I like that?” That’s a very important learning process. Another is hearing something you like and wondering why do I like it; what actually makes that come alive for me? I suppose everyone who performs should teach at some point. I think it is a very important process. BD: You are just twenty-seven. Is that very young to be on the concert platform? SH: I suppose. I have been lucky with the amount of concerts in important places and with important conductors that I’ve done. I say that because I see so many wonderful people of my own age and older who are barely playing at all, and it’s very difficult. I was talking earlier with someone from Pulp Magazine about competitions, and I feel the whole way that competitions and the way that people have careers and get them working is so unhealthy today. It’s very unfair that by the age of thirty or thirty-one, suddenly one’s reached the upper limit of the age that one can enter these competitions. That seems to me totally ridiculous because often people are really developing into their fullest potential in their thirties. BD: Is it necessary to go through the competitions to have a career? SH: It seems to be more and more difficult to do it any other way. I have a friend in New York who is forty, and I think he is one of the most extraordinary pianists I’ve ever heard, but who is finding it very difficult to have a career. He should be having a major career, and he’s a lot better than many of the people who’ve won many competitions throughout the world. But he’s not, because some people say, “Ah, well, you’re forty and you’ve not made it by now? Well, something must be wrong,” and that’s crazy! BD: In other words, they’re looking at numbers rather than listening to performance? SH: Yeah. There’s no time to make mistakes now, either in the competition or with the competition, which I think is terrible. People even at age twelve and thirteen are already entering competitions and being coached to win them. There’s a certain sort of teaching which can get people through — make something sound musical; it’s got all the right notes; it doesn’t offend anyone. BD: Are they missing the forest for the trees? BD: So we’re not letting these potential geniuses emerge? SH: I don’t think we are. I think we’re stopping them from even developing in the earlier stages by the way we’re teaching, by the way we’re pushing people into contests at an early age. BD: How can we get around this? How can we avoid this? SH: By avoiding this temptation to succeed by such a young age; to feel, when one’s learning, that somehow the lessons are not going well unless you’re entering contests all the time. SH: It should be. Yes! I do enjoy the physical aspect of playing the piano. Aside from any musical considerations, I think the piano is a wonderful tool, a wonderful thing to have fun with. BD: Are you a person who uses the piano, or are you a musician who just happens to have the piano be the medium through which you convey the music? SH: If one is playing a Liszt Hungarian Rhapsody then I would like to think that one could interchange those roles, that one is not fixed as either a musician or a pianist. That would be terribly limiting on either level, to be honest. Although I’d prefer to be a great musician who happened to be a pianist rather than just a technician, there’s the equipment, but you’ve got to express something with it. BD: This is your sixth season here at Ravinia. Are you coming back next year? BD: You must have lots of offers. How do you decide which engagements you’ll accept and which you will turn down or postpone? SH: Generally my management takes care of that. It involves trying to sort things out. As you get more and more engagements, then you try to arrange them geographically so that you don’t have to travel. When I was recording those Beethoven Violin Sonatas in concert in New York, I had a concert in Florida between two of them. So I went down to Florida to rehearse, came back to New York, played the Beethoven concert, went down to Florida to play the concert there and then came up to New York to play the second concert. I went back to England straight after that, and then back to New York! That sort of schedule is awful and you can’t do it for very long, but often you have to at the beginning of a career because if an important date comes up then you must do it. My debut at the Hollywood Bowl happened like that. Someone canceled at the last minute and I had four days to get up the Rachmaninoff Paganini Variations that I hadn’t played for six years. I hadn’t even got a score in the country. I had to borrow someone’s miniature score and try and read off the tiny notes, and then fly to the west coast from England, which is an eight-hour time change and a twelve hour flight, or whatever it is. One does have reserves for that kind of ridiculous thing, but you can’t do it too often or you burn out very quickly. So now it’s getting so things can be arranged. Whilst I’m on the east coast I can fit in a couple of concerts here and there, but obviously for the big orchestras you have to fit very much into their season. BD: Of course. Are you pacing yourself as best you can for the long career? SH: I hope so. I think bit by bit one has to keep paring down things to make sure one has enough time to continue learning, to really listen. If you’re playing night after night after night, you can get lazy. The ear starts getting rusty; you don’t practice as well; you don’t listen as well. It’s a constant danger. You have to be very strict with yourself. BD: What is next on the calendar? After Ravinia, where do you go from here? SH: I’m off to make my debut with the Philadelphia Orchestra next week with the Rachmaninoff Third Concerto. BD: Is that at Saratoga? SH: No, it’s at Mann Music Center. I actually go out to Saratoga with them later in the season, so I have a double debut this summer and it’s Mozart that time. Then to the Mostly Mozart Festival in New York. BD: Does it take you a long time to shift gears from Rachmaninoff to Mozart? BD: I know that singers have to change the mechanism in the throat. Do you have to change the mechanism in the forearm? SH: Yeah. It would be very difficult to switch immediately, but the next day should be all right. It’s more a psychological thing because in Rachmaninoff there’s an awful lot of delicacy, particularly in the Third Concerto. I’m very interested in trying to find a really authentic way of performing it. First of all, to go to the score; secondly to go to Rachmaninoff’s own recording of the work; thirdly, to the different performances of the work by Horowitz. There are three that are generally available. There’s one from the early 1930s, the one that he made in the early 1950s, and the one in the late seventies. There’s also a pirate one from around 1940 with Barbirolli. Because Rachmaninoff particularly admired the way Horowitz played this piece, the two recordings from ‘30 and ‘40 (since Rachmaninoff was alive) he would have heard and presumably approved them. So one can build up — almost like a detective — certain clues to how he wanted the piece. It seems to me that he liked it fairly swift and quite leggiero; not pounding and heavy and slow and pompous, but much of the last movement is very scherzando, in fact very light. BD: You don’t feel that listening to these recordings hampers you in a way that you won’t discover something that Rachmaninoff might have liked even better? SH: Yes, but I certainly don’t listen to them with a view of copying anything. I wouldn’t copy one bar, but one can get a general feeling. Rather than that, the problem is that one is hampered by many recent performances of the concertos. With the big tune at the end, we’ve fallen into a tradition of playing it very slow. It’s become more and more slow and more and more pompous and heavy, and there’s a lot of variety of texture and touch in Rachmaninoff. He was a great pianist. He did not just sit down and pound away for half an hour. He had, we’re told, one of the greatest tonal palates of pianists of all time. One thing he could do as well as anyone else was to play a true leggiero. You hear his recordings of something like his own transcriptions of the Liebesfreud and Liebesleid of Kreisler, and many of the solo works. They have that snappy kind of rhythm; there’s no sogginess there. It has a bite, a lift. I’m trying very much to look at the piece myself from the score, but also to just get away from all the tradition that’s grown up recently, and try a little bit to get back to the source. BD: You are condemned to playing different pianos all over the world. How long does it take you to get into each new instrument? SH: It varies with the piano. Some pianos, when they’re very well regulated and voiced, you can almost immediately slip in because it’ll do anything you want to. Some pianos are very difficult to understand and some you never really get used to. It is a problem, but it’s a challenge, too. I get the feeling — and I’m afraid I’m certainly not alone in this; I hear from almost every pianist I speak to — that the pianos are not being looked after as well as they should be in the last five to ten years. SH: Well yes, if one has the money... and the pianos themselves, too! If you listen to recordings from the thirties, it’s really not just a sort of nostalgic imagination. You can hear a glow to the sound that often you don’t hear today. The pianos now have a shallow, brittle sound. It’s a lot of things. The halls are so big, and the orchestras are bigger and louder so the pianos have to be louder to cope with it. It’s a problem. The piano world is in a big flux. There are many new companies who are starting up. There’s the Falcone Factory in Boston which is making concert grands, and Fazioli in Italy. Yamaha are getting better and better, and Kawai now have their hand-built piano. BD: Are they at all competing with the new electronic instruments? SH: That’s a very different field. I don’t think one will ever get the same impact; I don’t think you could because you’re really dealing with wood, which is living. You’re dealing with real wood, felt, leather and ivory. These are all things which almost breathe, and I don’t think ever on electronic you will ever get that feeling. You can certainly get good simulation. I’m told that there are good keyboards for practicing if you’re on the road, that you can get a very good simulation. But I don’t think it will ever be the same. BD: Thank you for coming back to Ravinia. SH: My pleasure, thank you. I’ve enjoyed this very much, really. 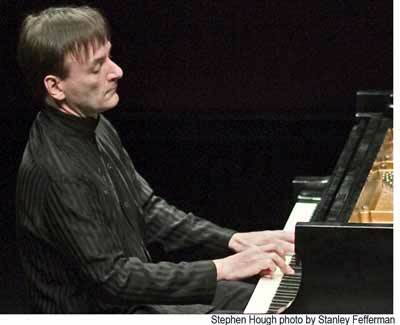 With an artistic vision that transcends musical fashions and trends, Stephen Hough is widely regarded as one of the most important and distinctive pianists of his generation. In recognition of his achievements, he was awarded a prestigious MacArthur Fellowship in 2001, joining prominent scientists, writers and others who have made unique contributions to contemporary life. He received the 2008 Northwestern University School of Music's Jean Gimbel Lane Prize in Piano Performance and was the 2010 winner of the Royal Philharmonic Society Instrumentalist Award. Mr. Hough has appeared with most of the major American and European orchestras and plays recitals regularly in the important halls and concert series around the world. Recent engagements include recitals in London, Paris, Hong Kong, Sydney, Chicago and San Francisco; performances with the New York, London, Los Angeles and Czech Philharmonics, the Chicago, Pittsburgh, San Francisco, St. Louis and Toronto symphonies, the Cleveland, Philadelphia, Minnesota and Russian National Orchestras; and a performance televised worldwide with the Berlin Philharmonic and Sir Simon Rattle. 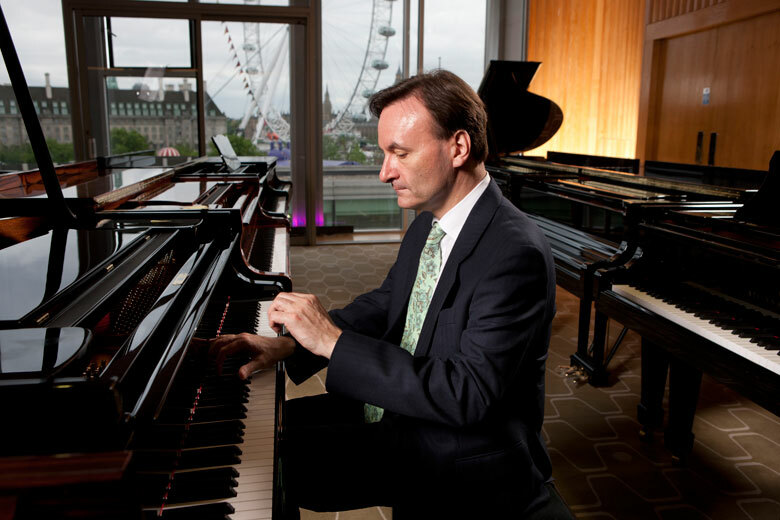 Stephen Hough is also a regular guest at festivals such as Salzburg, Ravinia, Tanglewood, Blossom, Hollywood Bowl, Edinburgh, Aldeburgh and the BBC Proms, where he has made over 20 appearances. In the summer of 2009 he played all of the works for piano and orchestra of Tchaikovsky over four Prom concerts, three of which were broadcast live on BBC television. During the summer of 2012 he returns to the Aspen, Grand Teton and Lincoln Center's Mostly Mozart Festivals. Highlights of Mr. Hough's 2012/13 season include re-engagements with the Boston, San Francisco, Houston and Baltimore symphonies as well as with the Hong Kong Philharmonic and Deutsche Symphony Orchestra Berlin and solo recitals in Carnegie Hall, Vancouver, St. Paul and London's Barbican Center. He will also be the Artist-in-Residence with the BBC Symphony in London. 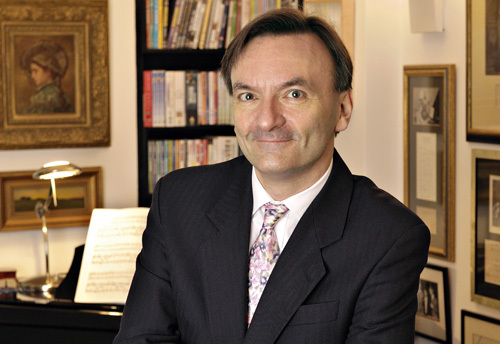 Stephen Hough's catalogue of over 50 CDs has garnered numerous international prizes, including the Deutsche Schallplattenpreis, Diapason d'or, Monde de la musique, four Grammy nominations and eight Gramophone Magazine Awards, including 'Record of the Year' in 1996 and 2003 and the Gramophone "Gold Disc" Award in 2008. His most recent recordings are the Grieg and Liszt Concertos for Hyperion and a disc of his own compositions for BIS Records. He records the two Brahms concertos with the Salzburg Mozarteum Orchestra in January 2013. 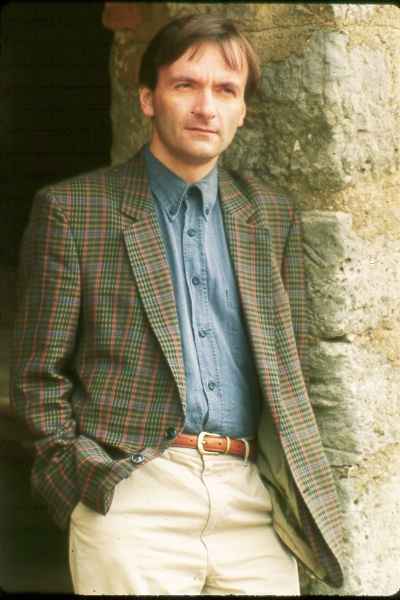 An avid writer, Stephen Hough frequently writes for many of the major London newspapers such as The Guardian, The Times, and was invited by the Daily Telegraph in 2008 to start what has become one of the most popular cultural blogs. He has also written extensively about theology and his book, The Bible as Prayer, is published in the US and Canada by Paulist Press. As a composer, Mr. Hough has been commissioned by the musicians of the Berlin Philharmonic, London's National Gallery, Westminster Abbey, Wigmore Hall, Le Musée de Louvre and Musica Viva Australia among others. He premiered his Sonata for Piano (broken branches) at Wigmore Hall in June 2011 and the world premiere of his Missa Mirabilis, commissioned by the Indianapolis Symphony, took place in April 2012. Mr. Hough's numerous compositions for solo piano, chamber ensembles, orchestra and voice are published by Josef Weinberger Ltd.
A resident of London, Mr. Hough is a visiting professor at the Royal Academy of Music in London and holds the International Chair of Piano Studies at his alma mater, the Royal Northern College in Manchester. This interview was recorded in his studio at the Ravinia Festival in Highland Park, IL, (the summer home of the Chicago Symphony Orchestra) on July 3, 1989. It was used (along with recordings) on WNIB in 1990, 1991, 1996 and 1999. It was transcribed and posted on this website in 2012.